A leading voice for U.S. agriculture sounded positive that a new farm bill that retains safety net provisions for lean times will be approved by early 2018. And, it will come without the drama that plagued the last round of negotiations. The pledge came today from U.S. House Ag Chairman Mike Conaway (R-Texas.) during general session remarks to soybean, corn, sorghum and wheat farmers attending Commodity Classic in San Antonio, Texas. “I’m driven to get the farm bill done on time for the good of farmers, consumers and the country,” he said. The seven-term congressman urged farmers, bankers and lenders to add their voice to ensure the legislation works for agriculture. “I’m deputizing everyone in this room to get out there and make a case for the farm bill” he told the more than 5,000 farmers and ranchers gathered for today’s general session. “The American public gets a deal when they go to the grocery store so everyone has a vested interest in the work of the farm bill and that we get it done in a timely fashion. Conaway assured Classic attendees that the new president and his administration shares the sentiment. 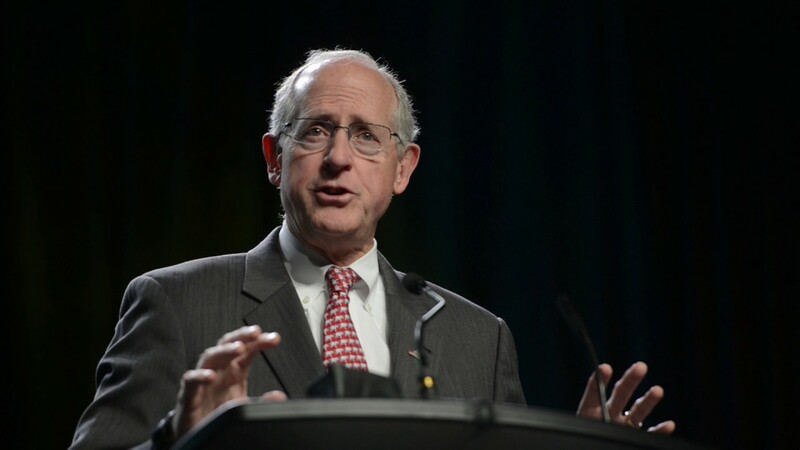 Food assistance provisions, Conaway said, would also be done in concert with the farm bill. “We’re going to get both the SNAP program and farm bill done at the same time,” he pledged. “If it’s easier to get them done together or separately, we will. But they will get done at the same time. We’re going to make this process work. Conaway said a return of direct payments doesn’t have Congressional support and will not be part of the 2018 bill. But a safety net will. Conaway dismissed concerns that key players involved in the construction of the farm bill will tilt its provisions in favor of southern interests, including cotton. “I’m the ag chairman for everyone,” said the west Texas native and former Chairman of the House Ethics Committee. “I commit to you that I will try to be even handed to get this done and be fair to everyone – listening to everyone and taking their concerns and input seriously. While entitlement and food assistance proponents will likely be vocal during farm bill negotiations, so too should be every person who eats, Conaway urged. “The American public gets a deal when they go to the grocery store so everyone has a vested interest in the work of the farm bill and that we get it done in a timely fashion. They must know the world’s most abundant, affordable and safe food supply is a direct result to the strength of the farm bill. I’m going to deputize every person in here to convince consumers that they need to support the farm bill. Expressed confidence that former Georgia Gov. Sonny Perdue, President Trump’s pick for U.S. Ag Secretary, will be confirmed overwhelmingly. He downplayed concerns about the delays in the onetime veterinarian’s confirmation process, saying procedural activities can take time. “Sonny is going to do a good job and the sooner we can get him (confirmed), the better,” Conaway said. Said regulatory relief will continue to be on the table, evident by the “good work that’s already begun.” This includes the executive order issued earlier this week by Trump reversing action on the Environmental Protection Agency’s controversial Waters of the United States rule. Pitched tax reform, saying “it’s a big deal” and expecting Congress will “get it done” by Aug. 1.